The genealogy of Berger Paints Trinidad Limited is as colorful as the very paints and coatings that its many customers have been using for years to brighten their homes and buildings – adding even more lush shades to the already vibrant and multi-hued islands of the Caribbean. Berger died in 1814 and his two sons, John and Samuel took over the running of the color works at Homerton, the company’s East London base of operations. John died around 1860 and Capel Burrow Berger and Lewis Curwood Berger, John’s two sons, ran the business, while making considerable extensions to the Homerton facility. By 1870, Berger Paints was selling 19 different pigments and in 1879, the firm incorporated as Lewis Berger and Sons. Unfortunately, the first Lewis’ great-grandson, Arthur John Berger, who was tasked with running the company, mismanaged it into near insolvency and, in 1904, the Sherwin Williams Company bought control of it for a third of its book value. Meanwhile, in 1923, another small paint company, Hadfield’s (India) Limited, opened in Calcutta. It was acquired by British Paints, an international consortium of paint manufacturing companies, in 1947. In 1969, British Paints was acquired, in turn, by the merged company of Berger, Jenson & Nicholson, which had joined forces in 1960. In 1983, the Indian company officially changed its name to Berger Paints India, Limited. The companies that are known today as Berger Paints – Caribbean, began in the 1950s, when paint products for the oil industry were imported to Jamaica from British Paints, which at the time, owned Berger Paints India. 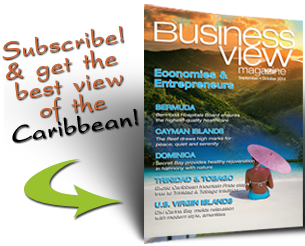 There are three sister companies in the Caribbean group: Barbados, Jamaica and Trinidad/Tobago. 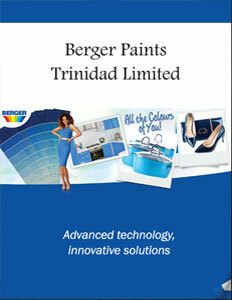 Berger Paints Trinidad Limited was incorporated in 1967, and began manufacturing its own product line of paints and coatings. Today, Berger International Ltd., the parent company, is owned by Asian Paints Ltd., an Indian chemicals company, which operates in 18 countries, worldwide, and is headquartered in Mumbai. According to Omawatie Birbal, General Manager of Berger Paints Trinidad, the company’s founding coincided with the island’s transition from whitewashed, earthen houses to wooden structures that required not only more colorful coatings, but products that offered greater surface protection to homes and buildings against harsh weather conditions of the Caribbean region. Today, Berger’s products are widely distributed across an extensive network of color shops and hardware stores. Together, the three Berger Paint companies, with their 250 permanent employees, export to all neighboring islands and as far as Suriname in South America, and Belize in Central America. Birbal says that competition is stiff among local and imported brands. However Berger Trinidad has several significant advantages over its competitors, including being owned by a global paint entity, which provides access to dedicated research and technology in the industry, consolidated raw material purchases, efficient management systems, and access to the highest quality raw materials; all working to provide consumers with premium quality products at affordable prices. Birbal relates that Berger Paints is always evolving and innovating while developing new products and services to suit the modern-day consumer. “We have recently launched a service called EZ Color,” she explains. “You can email us a picture of your house, your room, or whatever you’re painting. You can say ‘I like creams, or oranges, or blues,’ and we will send back, within 48 hours, four possible combinations of the same house in different colors. Then you can make up your mind which of the color shades you want to go with. It makes it easier for consumers to choose colors. We’re also branching off, right now, into tinted colors. Before, you would have a color that was made in the factory so you were limited to the number of shades. Now with tinting, a customer has many more colors to choose from. In addition, Birbal says that the Trinidad factory is adding new technologies to it processing systems in order to improve capacity and speed up its delivery capabilities. “We have a customer relationship management system that we have launched internally and we are expanding to dealers this year, so that they can order online. As soon as you order, you’ll get your order within 24 hours,” she says. Berger Paints Trinidad, Limited has been a household name in the Caribbean for 60 years, and is known throughout the islands for its quality products and its high level of service. With a wide range of decorative and industrial products, including an extensive array of household paints, as well as primers, stains and varnishes, furniture finishes, wood preservatives, marking paints, enamels, and light and heavy duty industrial finishes, the company guarantees that its customers will be supplied with the right options for any kind of painting job.